While more than two billion people live on less than $2US/day and many are likely to not escape extreme poverty during their lifetime, a form of technology most in the developed world enjoy is not only becoming accessible to the poor, but stands to become one of history’s greatest equalizers. Little more than a decade ago a mobile phone was something few in the first world had, were looked at by most as a silly status symbol and were quite expensive. While smartphones are all the talk nowadays and can easily cost more than $700US, a simple mobile handset has become rather inexpensive and can be purchased for about $15US most places in the world. 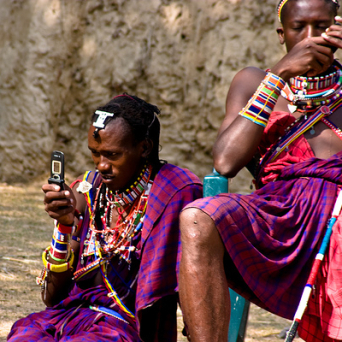 Many developing countries are skipping the costly and laborious step of installing landlines and going straight for 3G wireless, which is enabling those with a mobile phone to communicate, transact, bank, be heard and engage the global community like never before. In a June 2012 World Bank article on mobile devices, Tim Kelly, Lead ICT Policy Specialist at the World Bank commented, “The mobile revolution is right at the start of its growth curve: mobile devices are becoming cheaper and more powerful while networks are doubling in bandwidth roughly every 18 months and expanding into rural areas.” This dramatic drop in price of handsets, rise in coverage and rapidly decreasing cost of network use is not only empowering the world’s disenfranchised, but turning them in to customers at the same time. Organizations like UNICEF, scores of non-governmental-organizations (NGOs) and global companies like VISA are not only using mobile phones and technology to help better lives, but access and develop completely untapped markets, more than two billion strong. 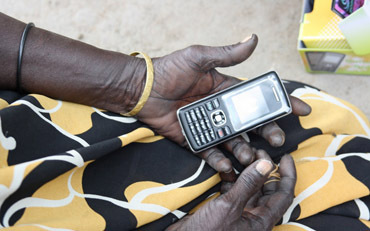 From registering births, to reporting diseases in real time, to banking, mobile handsets are changing the way the globe’s poorest citizens live, communicate, work and giving them a voice they’ve never had before. In Indonesia more than 15,000 women, called RUMA (Rekan Usaha Mikro Anda) agents are using their phones to act as micro-banking centers. Customers can use the service to pay utility bills, make bank deposits or withdrawals using a cellular signal. This work typically brings agents about $1US/day in additional income, which enables them to rise above the $2US/day poverty line with little start-up cost. TIME Magazine recently recognized two UNICEF staffers’ innovative efforts in Nigeria, naming them to the 2013 TIME 100 list. Christopher Fabian and Erica Kochi have developed a powerful yet simple system for Nigerians to register births with a simple sms text message. Currently six million births go unofficially recorded there, making it quite difficult them to receive medical care and schooling down the road. A simple text is quickly changing all that. In addition, this duo has also created a system for tracking the distribution of 63 million insecticide-treated mosquito nets, which are helping to curb the spread of malaria – truly low-cost tools that are accessible and having a dramatic impact. Turn to Uganda where there are just 131 hospitals serving 36 million people. NGOs have been trying for years to better the flow of aid, medication and care, but poor communication has impeded their efforts years. The World Health Organization and UNICEF are changing that with the use of text messages, enabling clinics and local health organizations to report their medication stocks, outbreaks in their areas in real-time and receive important health updates they can share with their communities – remarkable and inexpensive stuff. In little over a decade the mobile phone has gone from high-cost status symbol to accessible super-tool. Not only is it giving the world’s most impoverished and disenfranchised a voice within their communities and country, but enabling them to work in ways never before possible and slowly step out of extreme poverty. What will the next decade bring? To learn more have a look at two articles which provided a good deal of information for this blog: Technology Review and TIME’s 2012 Mobile Issue.